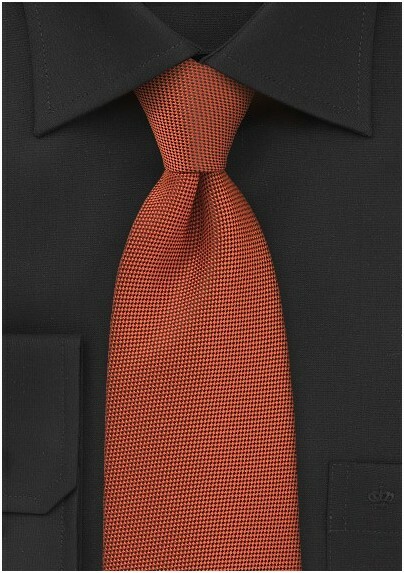 Team this burnt orange tie with your navy suit, beige colored shirt, and cognac brown shoes and you will have the perfect Fall outfit. 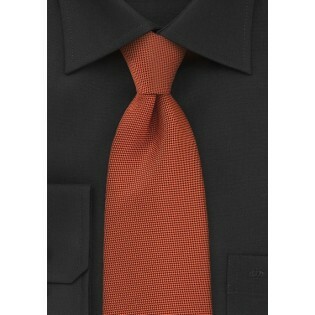 What we like most about this tie is the combination of black and burnt orange with a very fine pique texture. If you like this so-called Pique fabric texture, then we at Mens-Ties.com also offer this tie in five other shades: midnight blue, cypress-green, black, ivory, and sangria-red. Made from microfiber.